Home NEWS TALLEST SKYSCRAPERS Emirates expects busy start to 2017. Emirates expects a busy start to 2017, as travellers return from the holiday season. 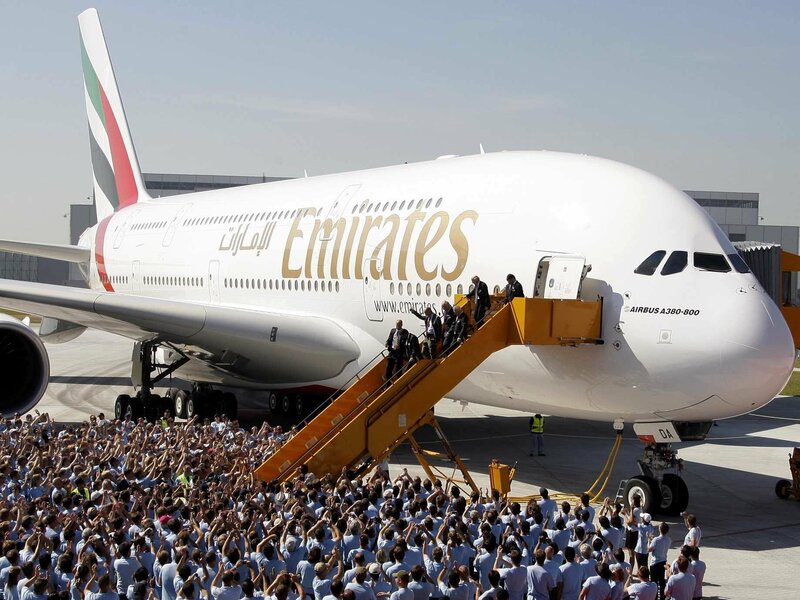 Close to 250,000 passengers are expected to pass through Emirates’ Concourses and Terminal 3 in the first three days of the year, according to the latest booking figures. The busiest day for the airline is expected to be on Monday 2 January where a record of over 87,000 passengers will pass through Terminal 3. To make the journey as seamless and trouble-free as possible at the airport, Emirates is deploying extra staff to assist customers. Emirates is reminding customers to arrive at the airport at least 3 hours before flight departure, and plan extra time to get to the airport to avoid heavy traffic expected during this period. Passengers can physically check in at Terminal 3 as early as six hours before departing on their flight. Emirates also has car park check-in facilities, which operate around the clock at Dubai International Airport. Equipped with 16 check-in counters, customers can check-in and drop their luggage at the car park check-in facilities from 24 hours to six hours prior to departure, easing their journey through the airport during peak travel periods. All passengers must be present at the time of check-in. Along with checked in baggage, passengers are strongly advised to adhere to carry-on baggage weight limits, which are 7kg for Economy Class and 14kg for Business and First Class. Staff will be checking the weight of carry-on bags at various touch points before passengers board their flights. Customers are also urged to check-in online before departure which is available 48 hours to 90 minutes before departure. Customers can check in on their personal devices or using the convenient Self Service Kiosks at the airport. When checking in baggage, Emirates’ convenient online check-in baggage drop facilities at the airport will help passengers to expedite their airport experience. Customers who have checked in online are also required to check in their luggage 90 minutes before flight departure. For families, Emirates has special check-in areas consisting of 20 economy check-in counters in Terminal 3 at Area 2, which are designed with their needs in mind.